OBMI Bermuda has announced their 2017 summer architectural and interior design interns, including Francis Mussenden, Tre Caines, Chanika Jones and Kiarrah Rogers. 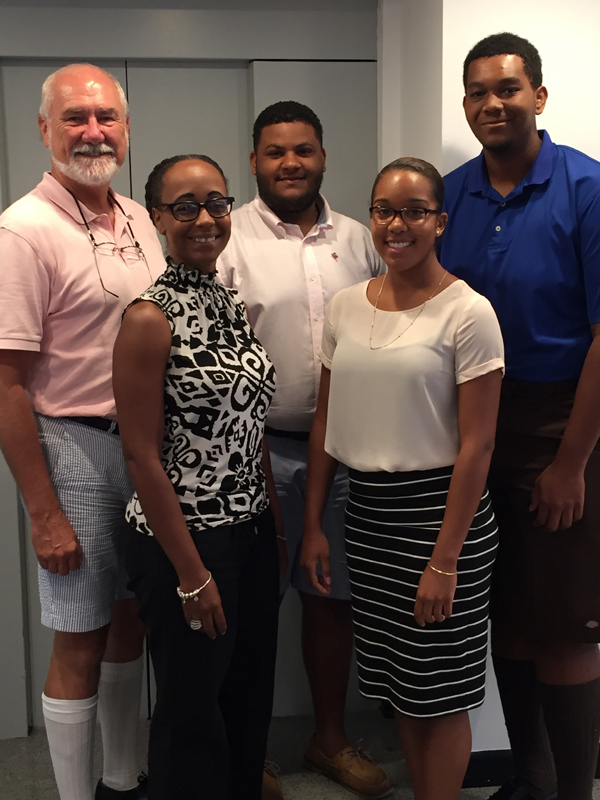 Colin Campbell, Reginal Director of OBMI Architecture, Interior Design and Landscape Architecture, said, “OBMI Bermuda is very proud of our 2017 summer interns. They are all at various stages of their academic and professional careers from heading off to University for their first year of study to having recently graduated in June 2017. “OBMI has a long history of mentoring architectural and interior design students in their chosen career paths. This year we have had the pleasure of having four such students join us. Francis Mussenden said, “In May I graduated from Warwick Academy, and in September I am heading to the University of the West of England, Bristol to study a BA [Hons] Architecture and Planning. I have had a passion for architecture since a very young age and have been involved with the Institute of Bermuda Architects [IBA] since early 2016. “I am currently undergoing work experience with OBM International, which has been a fantastic learning opportunity before heading off to university. Working with the firm has given me a greater understanding of what it takes to be an architect; it is not just about putting walls together, but knowing the purpose and flow of a space. Interested In Overseas Summer Intern Position?